This is a quick post today of 3 great smoothie recipes to help improve your overall health and wellness and to help you lose weight when combined with our healthy eating plan. 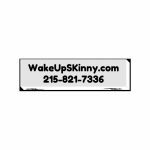 If this is your first time visiting our site I invite you to call and schedule your free weight loss consultation. Call us at 215-821-7336 and schedule your appointment now. Combine everything in a high powered blender. Blend all of the above ingredients in a high powered blender. I hope you enjoy the smoothies. If you, a friend, loved one or co-worker need help losing weight just call us and schedule your free weight loss consultation. Call 215-821-7336 and book your appointment now. This entry was posted in diet doctors, Diet Doctors in Philadelphia, Medical Weight Loss, Medical Weight Loss in Philadelphia PA, Medical Weight Loss Philadelphia, Philadelphia Weight Loss Doctor, Philadelphia Weight Loss Doctors, Weight Loss, weight loss philadelphia and tagged Medical Weight Loss Philadelphia, philadelphia medical weight loss, philadelphia medical weight loss doctors, weight loss in, weight loss in philadelphia on May 9, 2018 by Dr. Michael Kenny.